The last and possibly most critical step in any lead abatement job is clean-up. With LeadSafe Lead Dust Cleaner this process can be easier than ever. LeadSafe cleaner utilizes chelating agents similar to those given to individuals with lead poisoning. 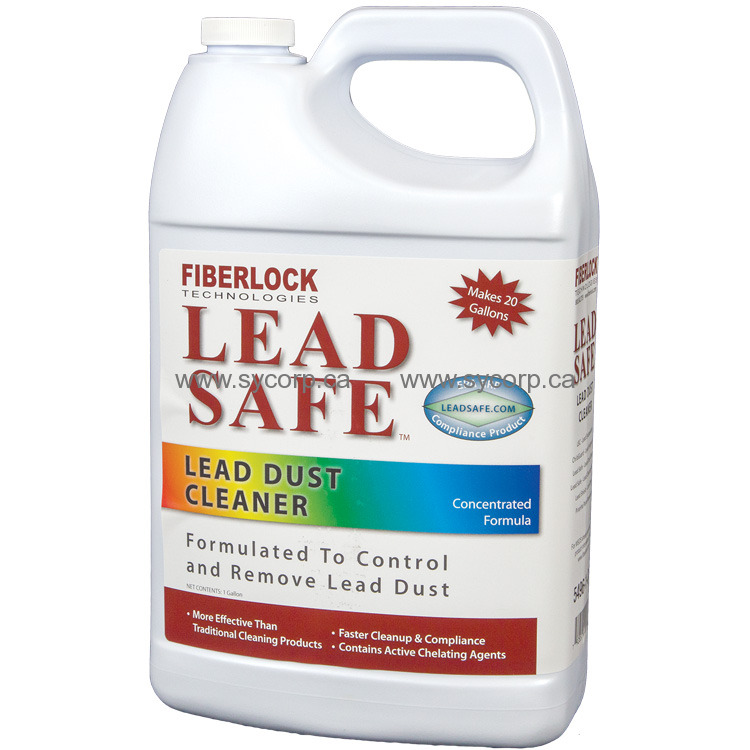 LeadSafe Lead Dust Cleaner is a concentrated product designed specifically to assist in the cleanup of lead dust after lead abatement projects, construction/renovations or any other activities which is likely to generate lead dust. This product has been formulated to keep in suspension more lead than ordinary cleaning products. The chelating agents in Lead Safe Dust Cleaner lift the lead from the surface and bind to the lead dust. Directions: Clean and remove all belongings from the area to be cleaned. Prior to application use a HEPA filtered vacuum on all surfaces. Starting at the end farthest from the exit, vacuum the room towards the exit beginning at the top of each room and working down. When applying the cleaning solution start in a far corner working towards the exit of the room to avoid re-contamination of the cleaned areas. Always wear appropriate personal proective equipment (PPE) including gloves and eye protection during any lead abatement or cleanup activity.